Swincombe is a garden room on the ground floor, perfect for those with dogs or simply those who like to sit on the private patio and enjoy the view of the garden and the sound of the Teign flowing by. The bathroom has a walk in shower. 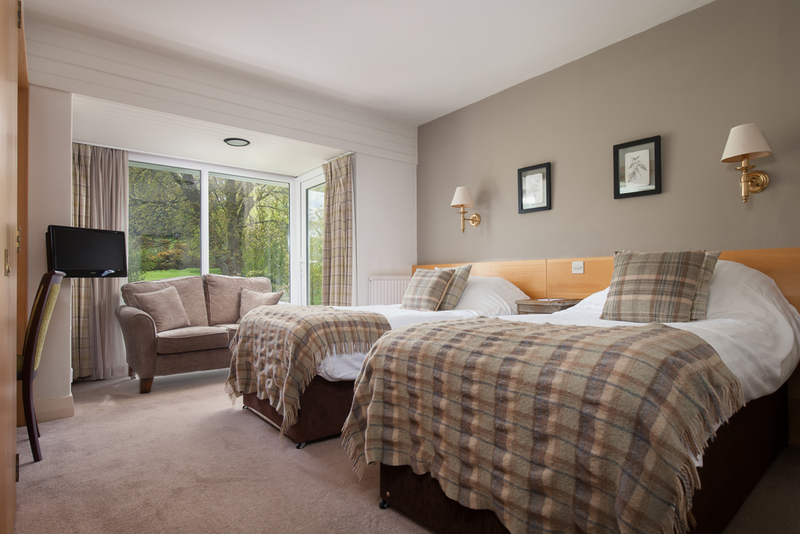 This twin room has two single beds and comfortable seating. This well-appointed room has tea and coffee making facilities, quality luxury toiletries and TV with Freeview and radio channels. Free Wi-Fi is available in our public rooms. All our bedrooms and public areas are non-smoking. 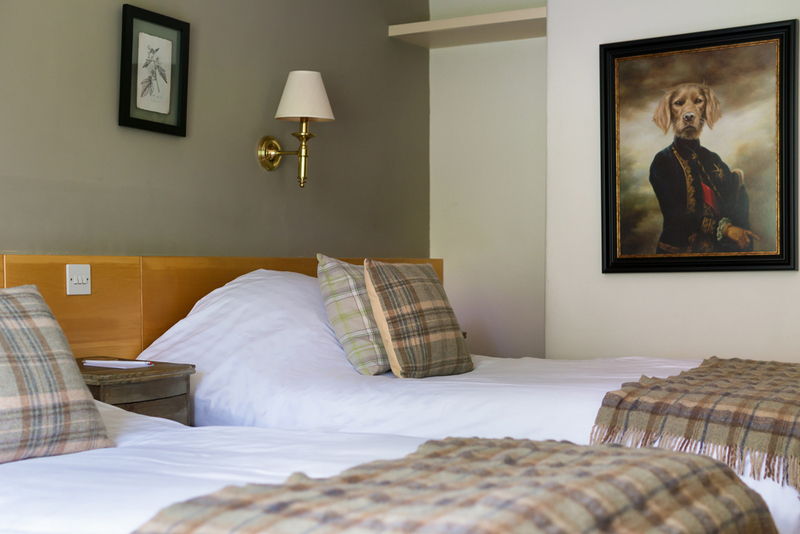 Our Superior Double rooms Erme (Ground Floor) and Tavy (First Floor), and the Junior Suite Avon (Ground Floor), can also have twin beds if required. 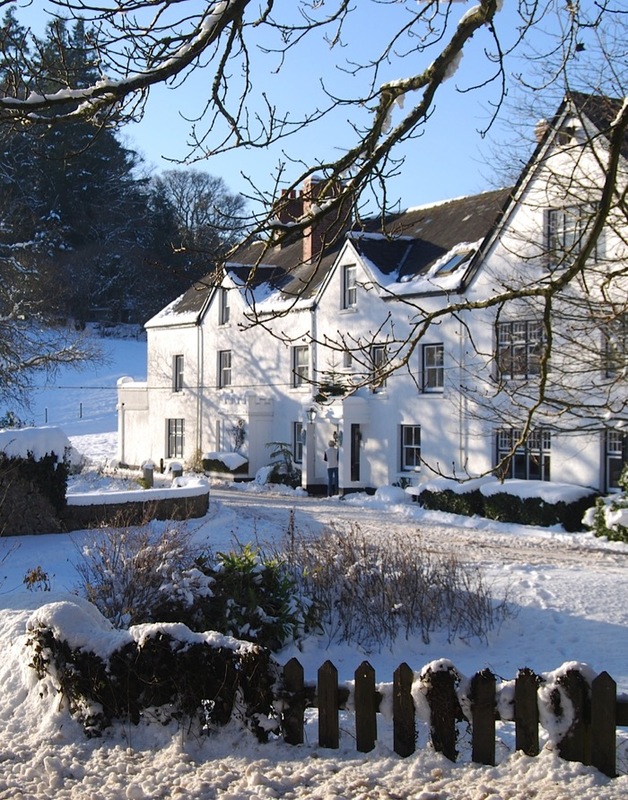 Check out our very special and exclusive package offers for a glorious break at the Mill End Hotel. Go on, spoil yourselves!